One of my favorite things about baking isn't the methodical measuring and mixing of ingredients, nor is it the pouring of thick, glossy batter into a greased pan, but the sharing of the goods. 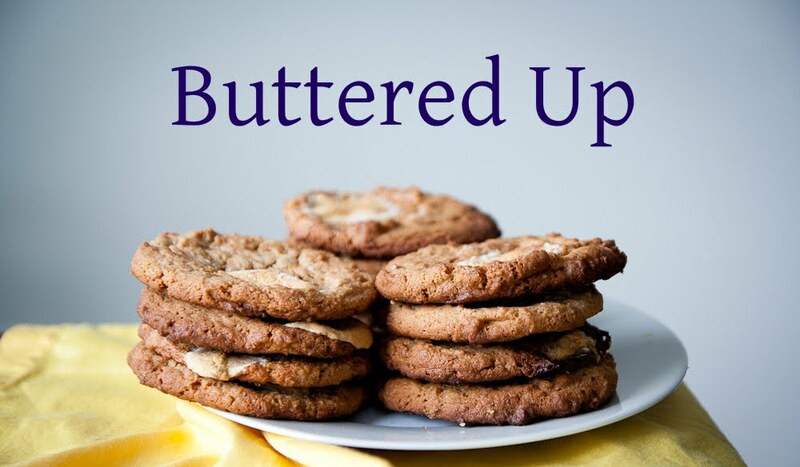 As I wrap them in foil to give away to friends, I imagine how their lips turn upwards into a smile, how their eyes flash with excitement, how some people unfurl the cookie wrapping and without missing a beat, stuff it into their mouths, complimenting me mid-crunch, followed by a cascade of crumbs. My mom falls in the latter category. If I made cake, she will declare it the best thing she ever ate, without even biting into it. She will wield her fork not at one slice, but at two slices of cake, demanding a glass of milk to wash it down. With equal authority, mom will push me to make banana bread. There's always a familiar pattern, beginning with her incessant scolding. First goes: Eat the bananas! They're going bad! Then: why aren't you eating them? Are you saving them for something else? 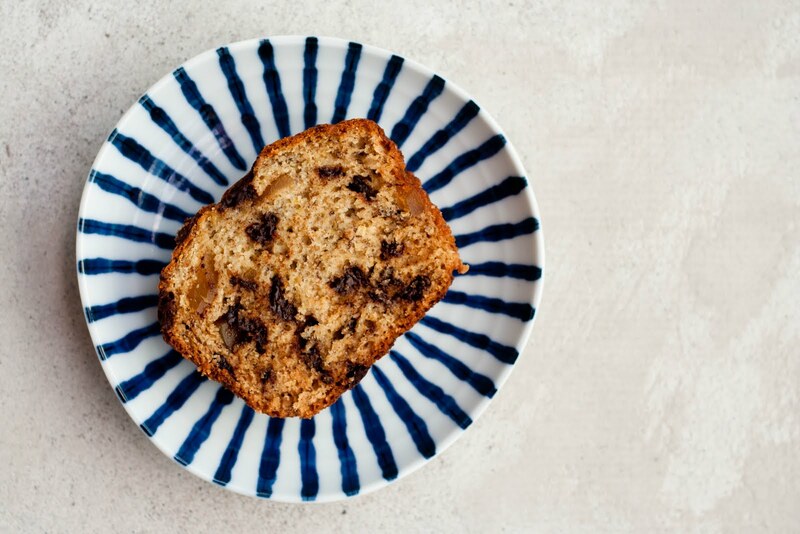 And finally: For goodness sakes, the bananas are moldy, make banana bread now! And I thought I was impatient. Sometimes I wonder if my mom intentionally buys a superfluous amount of bananas. I've discovered a new banana bread recipe, though not really “new” per se, as I've dog-earred Molly's recipe for years now and just baked it last week. But I hope you agree that you can never be short of banana bread recipes in your arsenal. 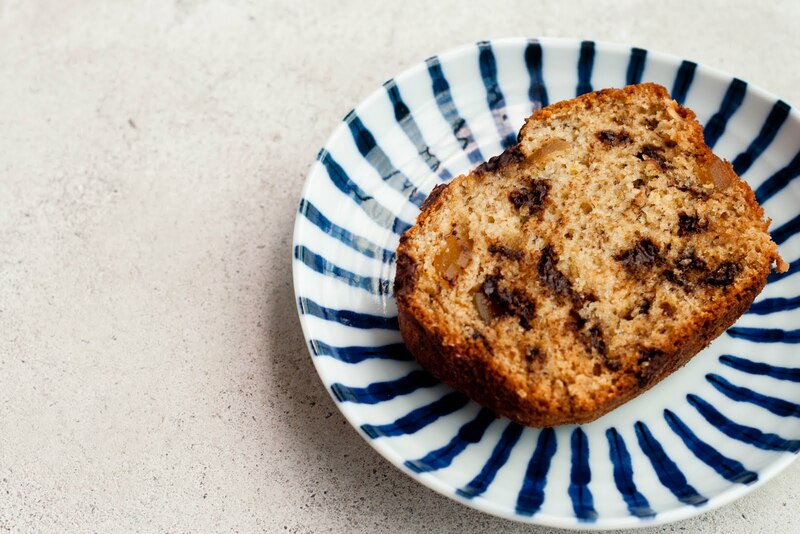 This stands out from other banana breads in its addition of ginger. 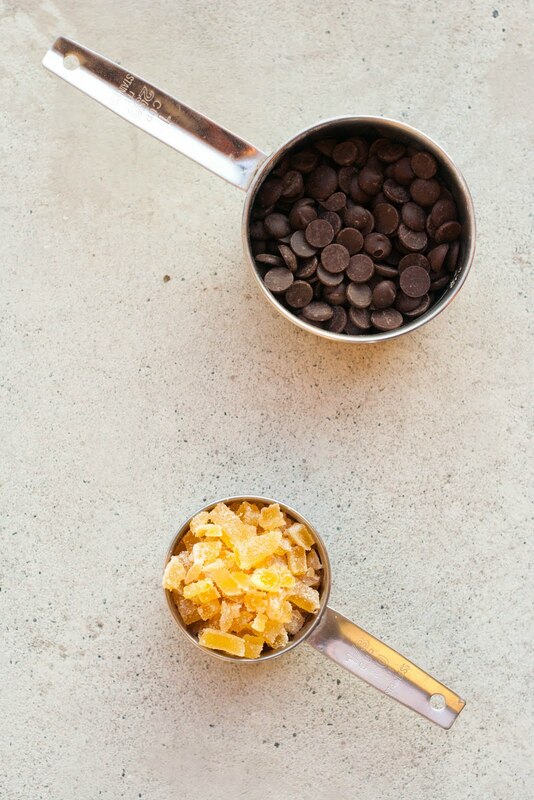 Crystallized ginger. Chopped bits of the spicy root popping in each bite, its sharpness mellowed by bittersweet chocolate. I replaced some of the all-purpose flour with whole-wheat flour, favoring it's nuttiness and to trick myself into believing it would be more wholesome. Oh baby, was this banana bread good. My mom had two generous pieces in one sitting. I've been eating it everyday, in fact, I just had it as a post-lunch snack. I urge you, with a little less anger than my mom used, to go use up that pile of freckled and mushy fruit, still conjoined by their wrinkly stem, its funk permeating all corners of the kitchen. 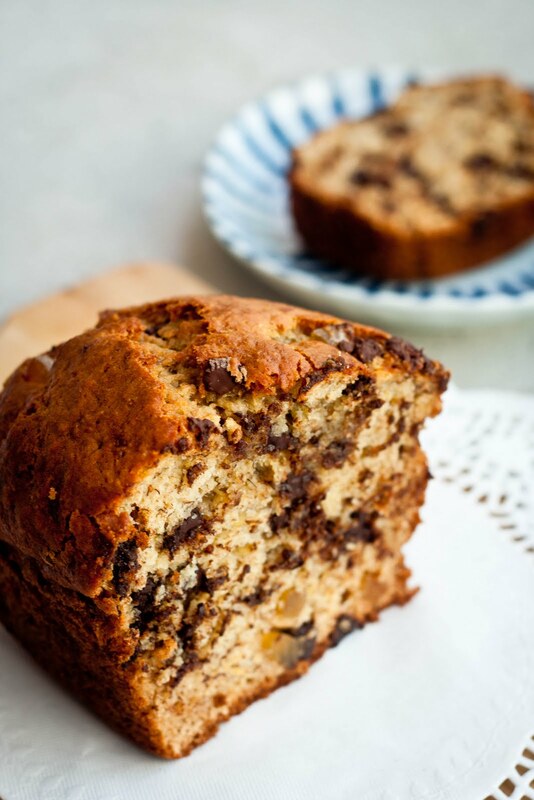 Overripe bananas begged to be married with chocolate and ginger, and promptly introduced to your friends. 1. Set a rack in the center of the oven, and preheat to 350°F. Grease a 9- by 5-inch loaf pan or an 8-inch round cake pan with cooking spray or butter. 5. Bake into the loaf is a deep shade of golden brown and a toothpick inserted into the center comes out clean, 50 minutes to an hour. If the loaf seems to be browning too quickly, tent with foil. Oh definitely! 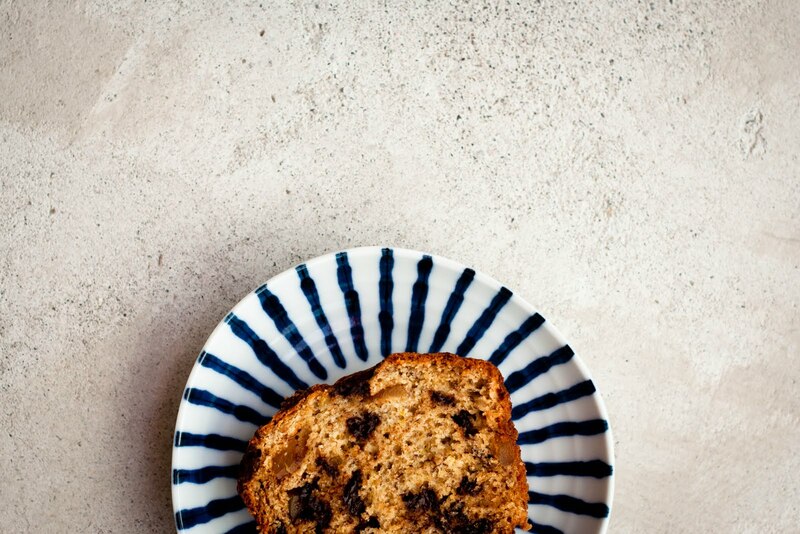 This might just be my go-to banana bread recipe from now on!